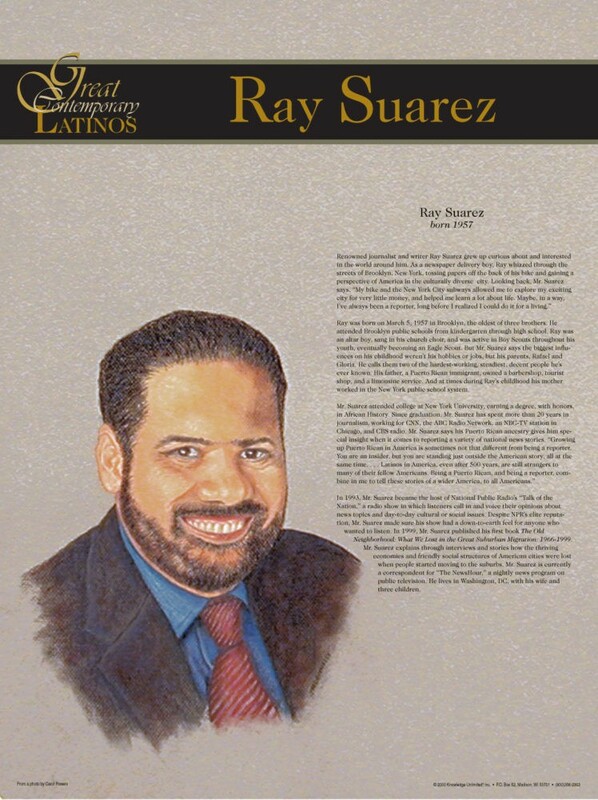 This poster of journalist and writer Ray Suarez features an artist's illustration of Mr. Suarez, along with biographical text illuminating his life and career. 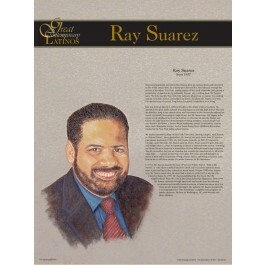 Ray Suarez grew up in Brooklyn, New York, the son of Puerto Rican parents. He became well known as the popular host of National Public Radio's "Talk of the Nation," and later as a news correspondent on public television.